You can’t get much more southern than okra. Whether you fry it, boil it, or stew it with tomatoes; okra is a vegetable pretty much synonymous with the south. And now we have a magazine by the same name. 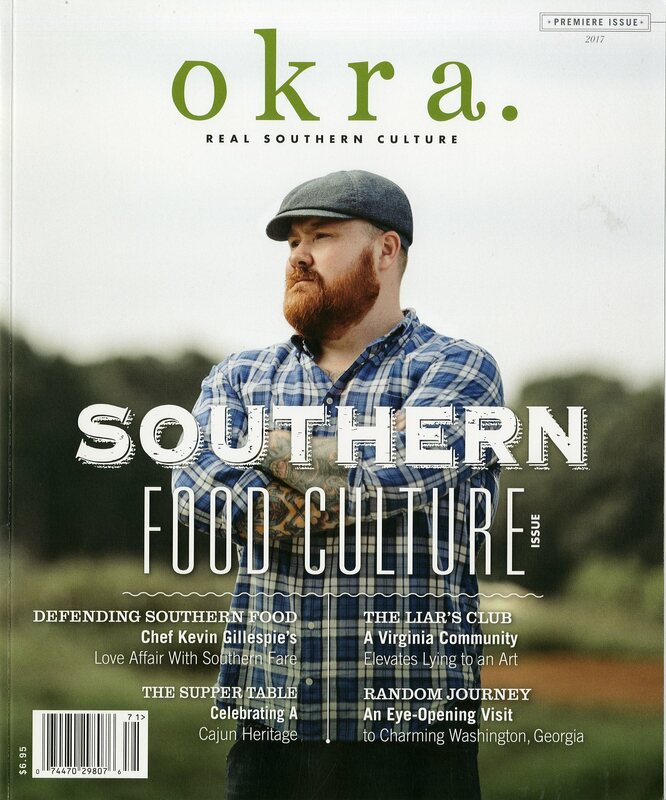 Okra’s tagline reads: Real Southern Culture, and is defined by the magazine’s publisher, Scott Speakes, as finding out what’s beneath the surface; what’s real and true and not just what’s in the headlines when it comes to the south. I spoke with Scott recently and we talked about the new magazine and what it took to get it from the concept he and his good friend, Genie Jones, who is also editor in chief, talked about some nine years before, to the newsstands where it lives among other new and established titles today. As a passion that became a reality, Scott admitted that there have been struggles, as far as advertising and a steady revenue stream are concerned, but the dream has been realized and he is determined to keep it going. 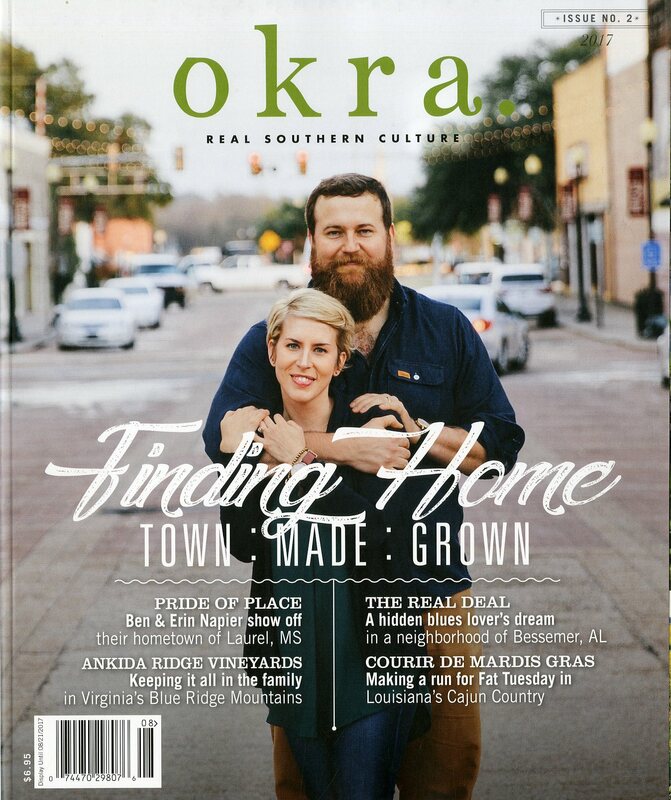 For a magazine that celebrates southern culture, Okra has the right ingredients for an experience into the many aspects of southern living that a publication of its particular category needs. And as Scott said, the name is perfect. How much more southern can you get than a delicious helping of Okra? And now, please enjoy the Mr. Magazine™ interview with Scott Speakes, publisher, Okra magazine. On the story behind Okra: The story of Okra actually started about nine years ago. A friend of mine, Genie Jones, who is the editor in chief of the magazine and a very good friend of mine since 1993; she and I started talking about this nine years ago. I was living in Atlanta; I’m a photographer and she’s a creative director, and we came up with the name immediately. What’s more southern than okra? We threw out a couple of other names, but I can’t even remember what those were, because Okra was the one that really stood out immediately. We designed the logo, and had some concepts and photography-type things that we wanted to do. We looked at it and the name and the design really stood out, and that’s what we wanted. On the covers of both issues of the magazine having people who bear a strong resemblance to each other: (Laughs) A couple of months ago, someone asked me who our model was. Kevin Gillespie is a chef in Atlanta and is known throughout the South and really across the nation. And he was on our first cover. He was a finalist on Top Chef and owns several restaurants himself in Atlanta. We were very fortunate to get him, because we were unknown. The cover of the second issue; we had been talking to Ben and Erin Napier and they wanted to do it, but they were, and are, just so busy. But earlier this year we were able to do their story. And I didn’t even think about the similarities of the covers, and when they came out side by side, I still didn’t think about it; but yes, I finally noticed the resemblance. But that wasn’t our intent, to put people on the cover all of the time, or prominent people on the cover all of the time. On how he defines the magazine’s tagline of “Real Southern Culture”: We thought about that one a lot. We went through some ideas of what we really thought about the south and what we believed other people thought about the south and then, what did we want to share with people about the south. We didn’t want the usual sights and places and people, that kind of thing. We wanted to explore what’s underneath the surface of it. On the thinking behind the magazine being designed in chapters: Nobody is really doing that. It was something that just kind of happened. We think the south is like a good book; it’s full of stories. And every story has many chapters. So, we decided to make the magazine like a book, which is something that I haven’t seen anybody do. We’re trying to be different. On where he sees Okra among other southern titles such as Garden & Gun: About two years ago, when we started researching this more and getting into it, I receive a lot of magazines to look through and I’m getting more every week, but Garden & Gun was always one of my favorites; it’s beautiful, well-done and designed great. When we started thinking about this, Garden & Gun was an ideal. And as Garden & Gun grew, to me they became more of a higher end publication. I feel like Okra is more of a companion piece to Garden & Gun. On why he chose Cleveland, Miss. to publish from: We get asked that a lot and I’m from Cleveland. I went to school at Ole Miss and I’m a graduate from there. My father was a graduate of Ole Miss. I was doing photography there. The most southern place on earth is the Mississippi Delta. I lived in Atlanta for a long time, along with some other cities. We thought about going out of Atlanta, but there are so many things going on there. So, we said why not do a southern magazine named Okra out of the most southern place on earth, which is the Mississippi Delta, and it’s my hometown and I am super-proud of it. On whether anyone told him he was out of his mind to bring another print magazine into this digital world: Yes, many people have asked me why I was doing this. It’s just a passion and something that I have wanted to do for a while. And it is crazy, I know. And I find out more and more everyday just how crazy it is. (Laughs) But it’s fun for me. The difficult part is having the capital to print. The printers are making the money, for sure. (Laughs again) That’s the hard part. On anything else he’d like to add: We’re working on our third issue, so we’re still very young. And we’re still learning the ropes of the business. We’ve talked to people and asked questions. 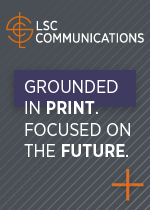 I know the statistics are small for success, but we’re doing both print and digital. We talked about doing just digital, but we love the printed magazine so much, we decided to do both. We’re finding that so many people love to pick it up and touch it and smell it and feel the paper. On what he would have tattooed upon his brain that would be there forever and no one could ever forget about him: I want to do the right thing when I can and be a creative person and I’m proud of the south and I’m proud of my Delta. And I really want to showcase that in the magazine in the best way that I can. I just want to be known as a great friend and a great father. On what someone would find him doing if they showed up unexpectedly one evening at his home: You would find me cooking, with a glass of wine, hanging out with my wife and daughter, cooking together and just having a good time. You would see stacks of magazines, some opened, some closed, while we’re cooking. Lots of southern magazines. On what keeps him up at night: Finding the capital and revenue for the magazine. The content doesn’t keep me up; we have a lot of our editorial calendar already knocked out. It’s mainly how do I get people to advertise and be a part of the magazine. So, getting it to the right people to find media-buyers who will take a chance on us. And now the lightly edited transcript of the Mr. Magazine™ interview with Scott Speakes, publisher, Okra magazine. Samir Husni: Tell me the story of Okra. 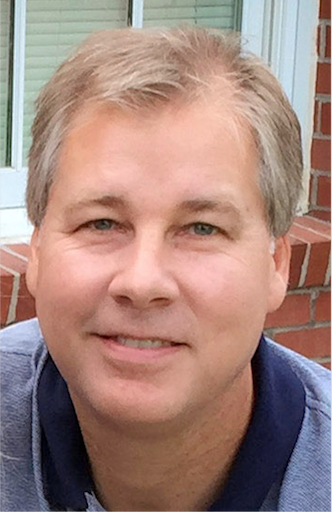 Scott Speakes: The story of Okra actually started about nine years ago. A friend of mine, Genie Jones, who is the editor in chief of the magazine and a very good friend of mine since 1993; she and I started talking about this nine years ago. I was living in Atlanta; I’m a photographer and she’s a creative director, and we came up with the name immediately. What’s more southern than okra? We threw out a couple of other names, but I can’t even remember what those were, because Okra was the one that really stood out immediately. We designed the logo, and had some concepts and photography-type things that we wanted to do. We looked at it and the name and the design really stood out, and that’s what we wanted. In 2016, all of those years later, we decided the timing was right and we should go ahead and do it. We were in the design business; we’re very visual and we read the books, researched many things. It took a little over a year to get this first issue out, and it has been a learning experience since, trying to get it distributed and get contacts. How to try and find advertising, which is the hardest part. But everything else seems to be falling into place. We’re getting large distributors and we’ve known a lot of people over the years who are in the business, photographers, designers and writers that we’re finding. We were lucky to get the cover that we did for the first issue; the food issue. And the second cover, which is out on newsstands right now, we were lucky to get Ben and Erin Napier from Laurel, Miss. before their show started. After their show came out they became stars across the South and were doing very well. We were just fortunate with timing to have them on our second cover and it just kind of catapulted us throughout the industry and on social media. Samir Husni: Was it on purpose or was it just pure coincidence that both men on the cover have red beards? Scott Speakes: (Laughs) A couple of months ago, someone asked me who our model was. Kevin Gillespie is a chef in Atlanta and is known throughout the South and really across the nation. And he was on our first cover. He was a finalist on Top Chef and owns several restaurants himself in Atlanta. We were very fortunate to get him, because we were unknown. The cover of the second issue; we had been talking to Ben and Erin Napier and they wanted to do it, but they were, and are, just so busy. But earlier this year we were able to do their story. And I didn’t even think about the similarities of the covers, and when they came out side by side, I still didn’t think about it; but yes, I finally noticed the resemblance. But people are now saying, who is the guy that you keep using for the cover? They’re, of course, totally different people, but you’re right, there is a resemblance. But that wasn’t our intent, to put people on the cover all of the time, or prominent people on the cover all of the time. We do want to do it some; I think we need that for exposure, but we also want to go beneath the surface some with people who aren’t quite as known. They’re about to break through as a chef or a musician or an author, that’s the people who we really want to expose and show our readers. The people who never really get talked about. When our next issue comes out, it’ll be a lot of more that. Scott Speakes: We thought about that one a lot. We went through some ideas of what we really thought about the south and what we believed other people thought about the south and then, what did we want to share with people about the south. We didn’t want the usual sights and places and people, that kind of thing. We wanted to explore what’s underneath the surface of it. Which brings me to the real part of it, what’s underneath the surface; the people; the places? We wanted to meet the locals and find out what made them tick. Sure, also people we’d heard of, famous people, but we wanted to find out what really makes the south tick. There’s the good and the bad, and we wanted to showcase all of that through the magazine, through the photography as well as the content and the stories that we do. So, to me, real southern culture is brought out to the everyday person; what is real about the south to them? And then we’re figuring out what we think is real about the south to us, and all of that seems real about the south to other people, whether it’s kudzu or a big-time chef, people want to know about food and places, history and culture. I would say our reader is a culturally-minded, independent, mobile readers, and they want to know about those kinds of things. So, we’re trying to find all of those things that deal with food, history, art and travel, and bring it to them. Find out what’s going on in the real south and not just what people see in the headlines. Samir Husni: I see that you’ve designed the magazine in chapters, rather than sections. What was the thinking behind that? Scott Speakes: Nobody is really doing that. It was something that just kind of happened. We think the south is like a good book; it’s full of stories. And every story has many chapters. So, we decided to make the magazine like a book, which is something that I haven’t seen anybody do. We’re trying to be different. Genie and I are very visually-oriented; I’m a photographer and she’s a creative director, so we’re looking at ways to make things stand out differently with our design and our concept. And chapters seemed like the logical thing to do. Samir Husni: So, being different; where do you see yourself among the southern magazines that already exist in the marketplace, such as the ever-popular, mass Southern Living, to Garden & Gun, to Good Grit? I just picked up a new magazine from South Carolina called Shrimp, Collards & Grits. Where do you see Okra within that competitive set? Scott Speakes: About two years ago, when we started researching this more and getting into it, I receive a lot of magazines to look through and I’m getting more every week, but Garden & Gun was always one of my favorites; it’s beautiful, well-done and designed great. When we started thinking about this, Garden & Gun was an ideal. And as Garden & Gun grew, to me they became more of a higher end publication. I feel like Okra is more of a companion piece to Garden & Gun. The stories that we tell may not be in Garden & Gun, because that magazine just seems more of a higher end publication. I think that’s why we’re a good companion. We kind of found our little niche. That’s why our tagline is “Real Southern Culture,” we catch the everyday person. So, side by side, I think Okra is a great companion piece. I don’t see Garden & Gun as competition. I’m not going after that higher end advertising. And I’ve noticed they’ve reached outside of the south today. But it’s still one of my favorite magazines. And as far the others, like Good Grit; I think our design and our content is totally different than theirs. Okra doesn’t resemble their publication at all, I don’t think. And Southern Living is a different magazine. They’ve been around forever and have millions of readers, so they’re also very different from us. I think our readers are really catching on to Okra as something they can relate to, whether it’s nostalgic or the look and feel of our paper, and even the advertising we have is a part of the magazine. And that’s important to us, making our advertising look like an easy part of the magazine. We don’t put an ad in there just to have it. We design it out and make sure it flows with the magazine, because it has to be part of it so you can really be interested in what is being advertised. Samir Husni: Why did you choose to publish in Cleveland, Miss.? Scott Speakes: We get asked that a lot and I’m from Cleveland. I went to school at Ole Miss and I’m a graduate from there. My father was a graduate of Ole Miss. I was doing photography there. The most southern place on earth is the Mississippi Delta. I lived in Atlanta for a long time, along with some other cities. We thought about going out of Atlanta, but there are so many things going on there. So, we said why not do a southern magazine named Okra out of the most southern place on earth, which is the Mississippi Delta, and it’s my hometown and I am super-proud of it. And people will tell me, Cleveland, Miss., I’ve never heard of that. You have all of these magazines out of Charleston and Atlanta, and bigger cities; I just thought it would be great for us to come to people from a smaller town. But we still have access to everything else. Samir Husni: Did anybody ever tell you that you were out of your mind in this day and digital age to bring another print magazine onto the scene? 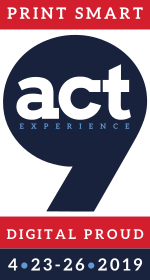 Scott Speakes: Yes, many people have asked me why I was doing this. It’s just a passion and something that I have wanted to do for a while. And it is crazy, I know. And I find out more and more everyday just how crazy it is. (Laughs) But it’s fun for me. The difficult part is having the capital to print. The printers are making the money, for sure. (Laughs again) That’s the hard part. It also took a couple of months to get distribution across the south, but now we’re everywhere in the south and beyond. We have some partnerships and things that we’re working on. But we don’t have investors or partners with deep pockets. It’s just us. So, if the money doesn’t come in, everything is up to us. The hardest part is finding media people to buy advertising. Scott Speakes: We’re working on our third issue, so we’re still very young. And we’re still learning the ropes of the business. We’ve talked to people and asked questions. I know the statistics are small for success, but we’re doing both print and digital. We talked about doing just digital, but we love the printed magazine so much, we decided to do both. We’re finding that so many people love to pick it up and touch it and smell it and feel the paper. Like myself, I can put it in my backpack and take it with me, or put it on my coffee table, or in my car. I like having that quick access, and I give away a lot of magazines that way too, because I can be in my daughter’s pick up line at school and someone will stop me and say they love the magazine and need another copy, and I just hand them one out. It’s fun to see people’s reaction to the magazine. We’re trying hard and we’re getting a lot of good feedback, and we’re going to keep going. Scott Speakes: I got married later in life; I’ve only been married seven years and this is my first marriage. When I was single, I just did whatever I wanted to, lived from city to city; it was all about me. I now have a five-year-old and always try to do the right thing. I want to be a great father, a great husband and a great friend to people. And I always wanted to be a photographer, even when I was in journalism at Ole Miss. I wanted to do photojournalism. I want to do the right thing when I can and be a creative person and I’m proud of the south and I’m proud of my Delta. And I really want to showcase that in the magazine in the best way that I can. I just want to be known as a great friend and a great father. 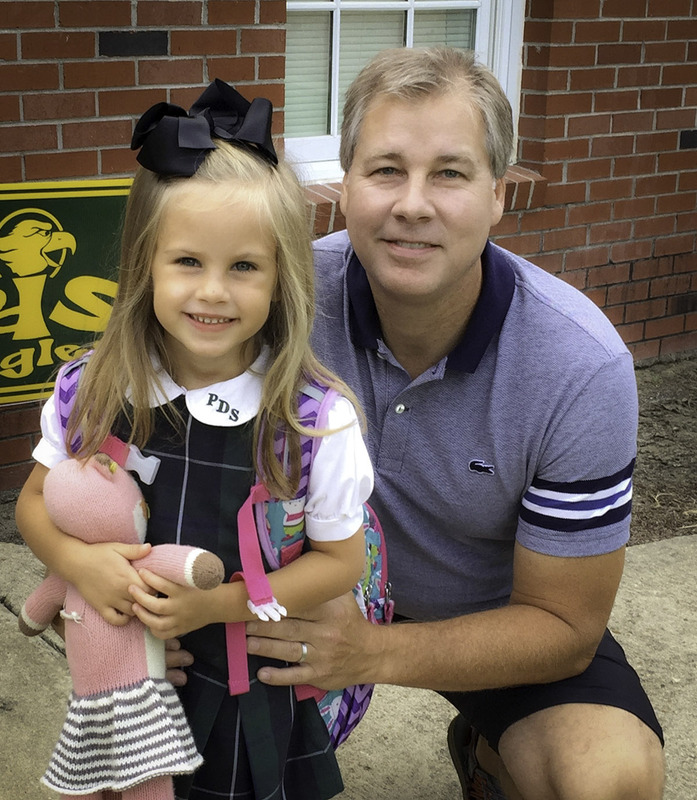 Scott Speakes: You would find me cooking, with a glass of wine, hanging out with my wife and daughter, cooking together and just having a good time. You would see stacks of magazines, some opened, some closed, while we’re cooking. Lots of southern magazines. Scott Speakes: Finding the capital and revenue for the magazine. The content doesn’t keep me up; we have a lot of our editorial calendar already knocked out. It’s mainly how do I get people to advertise and be a part of the magazine. So, getting it to the right people to find media-buyers who will take a chance on us. It’s a Catch-22. A new magazine; people look at you and ask why would we pay X amount of dollars to advertise with you? Show us your numbers. 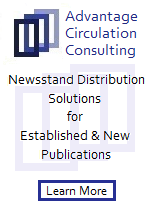 Yes, we have good distribution across the south and we’re growing with each issue, but we don’t have the numbers. And they know that. It’s one of those things where you ask yourself, how can I convince somebody? And it’s not easy to convince somebody to buy media. But we’re slowly getting it. The state of Mississippi is now onboard with us, and it took us a little while to get that. And the other states; we cover 13 states, so we’re literally trying to figure out how to get into all 13 states. Our social media has really taken off over the last year, so we’re getting a lot of feedback from that, especially Instagram. People are following us and finding us and reaching out to us, and they’re commenting about us. But what keeps me up at night is finding the revenue to fund the magazine. The rest seems to be coming a little easier for me. Will there be another issue of the Magazine “OKRA”? If so, WHEN? Have ordered and paid for my suscription two months ago. When can I expect to receive my first issue? And how many issues do you plan to publish in 2019? Have not been able to contact anyone with regard to Okra Magazine. Beginning to wonder if I ever will.